Last week I was ill for two days, which involved fever and a soar throat, but also watching the first season of A Series of Unfortunate Events on Netflix. Here’s my thoughts. One day, the three Baudelaire children — Violet, Klaus, and Sunny — go to the beach on a cloudy day. While there, a man named Mr. Poe approaches them. He’s from the Mulctuary Money Management Bank. He informs them that their parents have died in a fire, and he’s the executor of their will. The children are to be placed with a guardian until Violet comes of age, at which point she will inherit the family fortune. Poe places them with that guardian, a man called Count Olaf. The Count quickly reveals he only cares about their fortune. 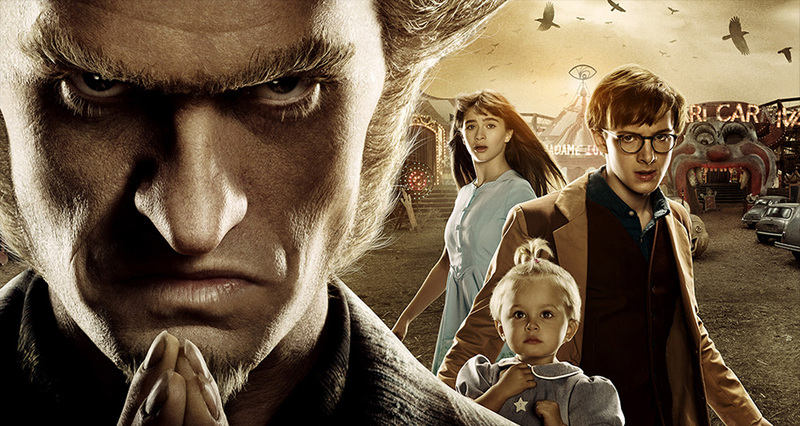 Over the course of the season, the children fight against Count Olaf and his gang in four two-part stories. It turns out their parents were part of some kind of secret organization, as was Count Olaf. However, learning more about this organization proves hard. As is often the case with young adult stories, the adults in the room prove to be of little help, even though they are in charge, but continually make things worse. The show is based on a series of books, which I haven’t read, but I hear the books were adapted quite faithfully. That is usually a good thing, and here too, I think. TV shows that stray from the source material often end up undercutting their own story: there’s a reason a book is structured the way it is. Violet, Klaus, and Sunny are the Baudelaire children. Violet is good with machines. Klaus is good with books. Sunny is only a baby, but quite capable of eating through anything. The adults continually talk down to them, and ignore their claims regarding Count Olaf and his schemes as fabrications, even though they are usually right. The three have agency, but are also the underdog. Each two episodes provide their own story, with a small arc for the characters. The story is narrated by Lemony Snicket. He’s a serious-looking man, who keeps warning the viewers to look away from the story, because it is so terrible. He also refers often to his great love, who refused to marry him and died an untimely death. And he is a part of the organization the Baudelaire parents were a part of. He has no arc, but he does provide flavor. Having a strong narrator can help set the mood, and prevents the hand of the author from shining through. Count Olaf, played by Neil Patrick Harris, is the villain of the show. I’m old enough to remember Neil Patrick Harris as the star of Doogie Howser, M.D. Since then, he’s played everything from the science geek in Starship Troopers to Dr. Horrible in Dr. Horrible’s Sing-Along Blog to the brilliant Barney Stinson in How I met Your Mother. He’s a great actor, and he shines in A Series of Unfortunate Events. Count Olaf wears a new disguise every other episode, and Harris does so brilliantly. If they ever do another movie like Cloud Atlas, Harris should be in it along with Tatiana Maslany from Orphan Black and Enver Gjokaj from Dollhouse. Those three kill at playing different unrecognizable characters. This is not a serious adult drama. It’s a kind of over-the-top absurdist not-quite dark comedy for young adults. If you hate absurd comedy you are going to hate this show – my wife did, anyway. If you like the idea of Harry Potter meets Oliver Twist meets Spy Kids, you’re probably in better luck. All in all, I like the show and I’ll soon continue with the second and third season.